Level Field: Just bring yourself to the Commonwealth Games venues! 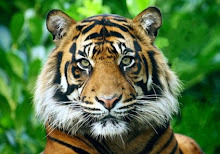 Just bring yourself to the Commonwealth Games venues! 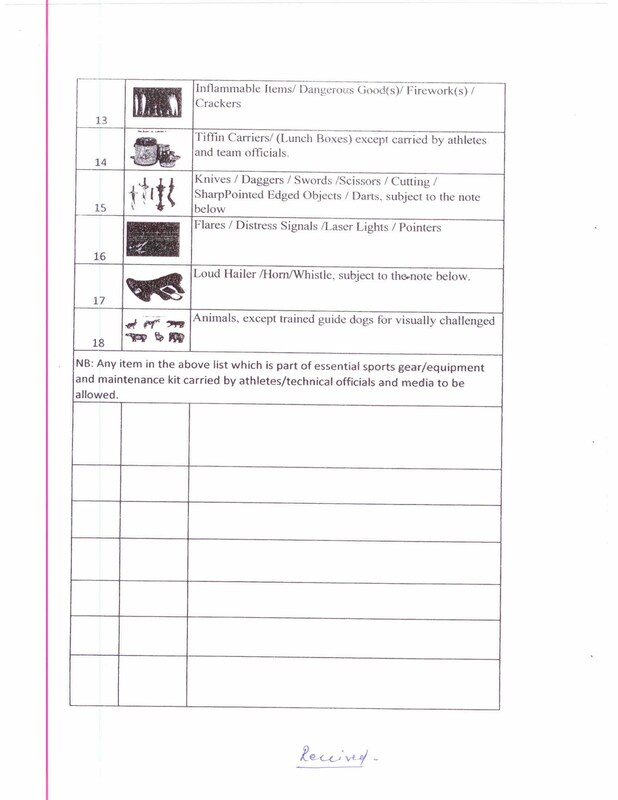 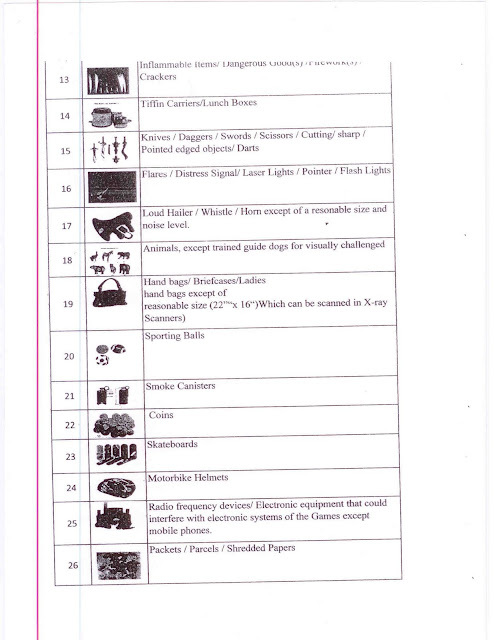 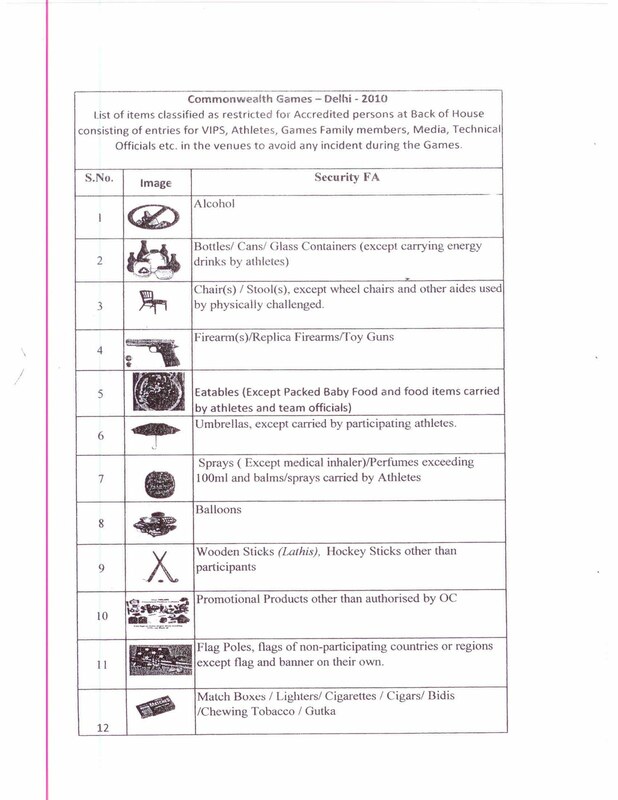 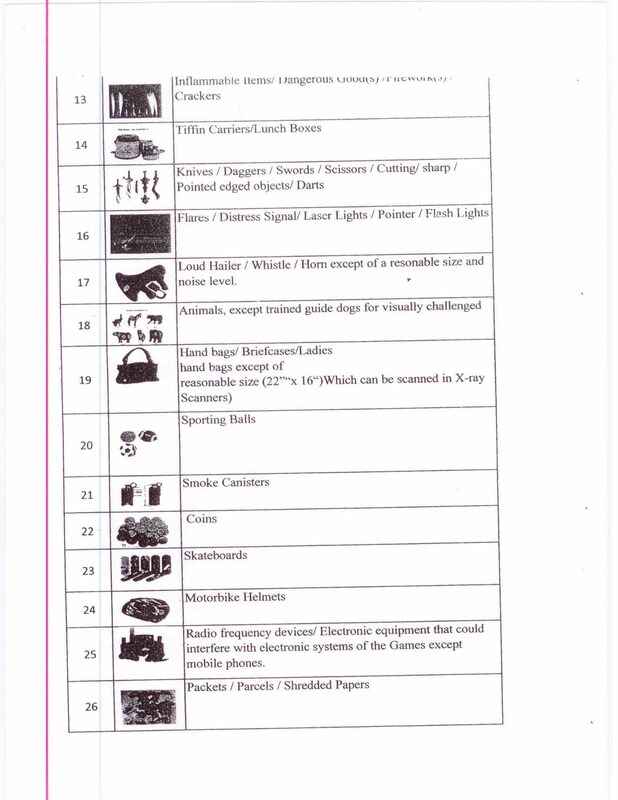 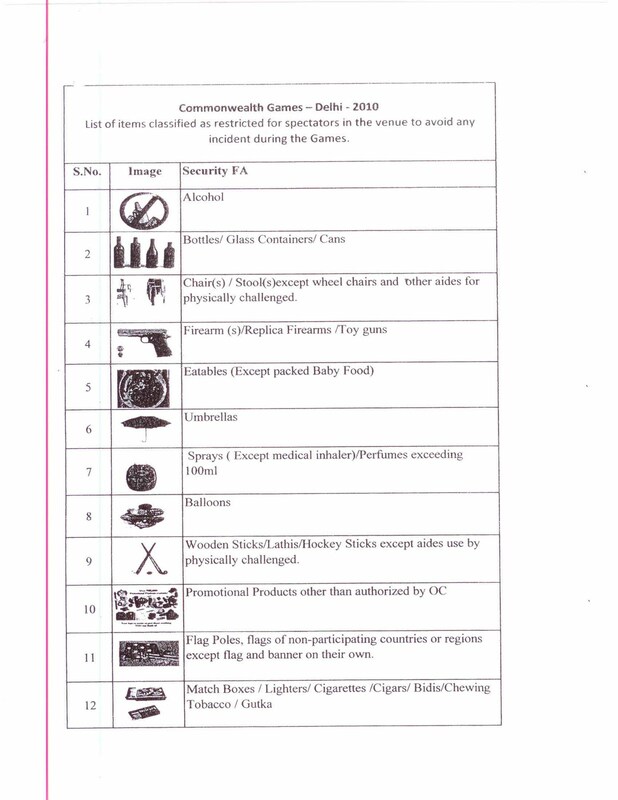 Below are the list of items which spectators will be banned from bring to competition venue for the 2010 Delhi Commonwealth Games in October.